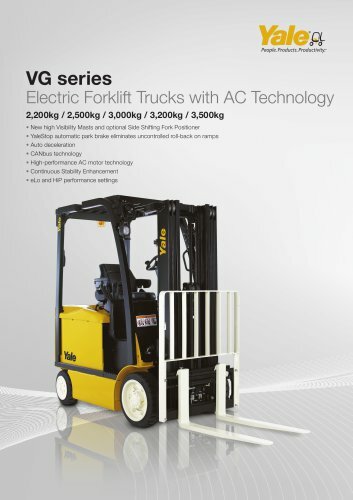 ERC22 VG SWB/MWB mast details and capacity ratings (kg) - Cushion tyres Model * Wide tread wheels/tyres must be specified. (3) Add 684mm with load backrest extension. (6) Deduct 583mm with load backrest extension. (1) Add 666mm with load backrest extension. (4) Deduct 684mm with load backrest extension. (7) Add 601mm with load backrest extension. (2) Deduct 666mm with load backrest extension. (5) Add 583mm with load backrest extension. (8) Deduct 601mm with load backrest extension.
] Max. battery ▼ Bottom of forks. + Without load backrest. O h6 subject to +/- 5mm tolerance. X Full suspension in compressed condition, add 40mm for nominal position. • Add 43mm with load backrest. W eLo performance setting ❖ maximum flow set through dash display. H LPAZ,measured according to the test cycles and based on the weighting values contained in EN12053. Specification sheet truck based on: Standard seat and overhead guard with standard carriage and 1000mm forks with extended shift on. 2 stage LFL mast :- ERC22-25VG 3490mm, ERC30-35VG 3305mm.